Do you seek professional assistance that can efficiently handle your travel itineraries? If the answer is then, look no further than India Reisebuero Pvt. Ltd. With us, one can witness hundreds of diverse genus of creatures including tiger, elephant, bear, langur and many more in their natural habitat. Our offered wildlife tour packages are combine magnificent wildlife and picturesque landscape so that you can enjoy your trip in an optimum manner. So, get in touch with us to book wildlife tour in India/ North India wildlife tour packages. We are based in Delhi, India. Below mentioned are the details and itineraries of the North India wildlife tour. There is so much to explore in India that a tourist always has to come back to it. Most tourist destinations are located in the North India including Sariska Tiger Reserve, Ranthambore, etc. Tourists visit India not just to explore its cultural diversity but also to enjoy its diverse and rich flora & fauna. With a motive to provide the tourists with the best wildlife experience, we, India Reisebuero Pvt. 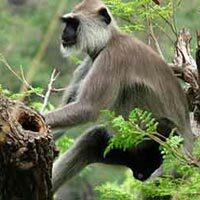 Ltd., bring forth the best wildlife tour packages in India. If you want to experience the great wildlife tour in North India, then book from our wildlife tour packages and be ready to see the most dangerous animals closely. Come to us and book North India wildlife tour packages now! Have hearty breakfast at the hotel. Later proceed of sightseeing tour of Delhi covering places like Jama Masjid, Red Fort, India Gate, Humayun Tomb, Qutub Minar, President House, Parliament House, Lotus Temple, Birla Temple, etc. Dinner and overnight will be at the hotel. After breakfast drive to Sariska. On arrival in Sariska - check into the hotel. In the afternoon enjoy exciting Jeep Safari in the Sariska National Park & Tiger Reserve. It is the home to an exotic variety of wild animals and beautiful birds. Here, herds of golden deer dart and pirouette gracefully, playing hide and seek with their shadow, and the big wild cat, the tiger, roams free. Dinner and overnight stay will be at the hotel. Have breakfast at the hotel. Enjoy morning jeep safari at Sariska Sanctuary. Later drive to Ranthambore National Park, one of the best places in India to see royal Bengal tigers in their natural surroundings. On arrival in Ranthambore - check in at the hotel. Spend rest of the day at leisure. Dinner and overnight stay will be at the hotel. Have a very hearty breakfast at the hotel. Enjoy morning and afternoon jeep safari inside the Ranthambore National Park to explore its rich flora and fauna. Dinner and overnight stay will be at the hotel. After breakfast drive to Jaipur. On arrival in Jaipur - check in at the hotel. Jaipur is the capital city of Rajasthan and lovingly known as the Pink City of India. In the afternoon enjoy sightseeing tour of Jaipur covering places like City Palace, Hawa Mahal, Jantar Mantar, Birla Temple, Rambagh Palace, etc. Explore local bazaars in the evening. Dinner and overnight stay will be at the hotel. In the early morning take excursion to Amber Fort. Enjoy elephant ride to ascend the fort situated atop a hill. Return to hotel for breakfast. Later, drive toward Agra in Uttar Pradesh en route visiting Fatehpur Sikri famous for Buland Darwaza, Panch Mahal and Jodha Bai Palace. On arrival in Agra, check in at the hotel. Later visit the Taj Mahal –one of the Seven Wonders of the World and the Agra Fort. Both are UNESCO World Heritage Sites. Dinner and overnight will be at the hotel. Visit the Taj Mahal (the Symbol of Love) at sunrise. Return to hotel for breakfast. In the afternoon you will be transferred to railway station to board overnight train to Umaria. Dinner will be served at the hotel. On arrival at Umaria Railway Station, our representative will transfer you to the hotel at Bandhavgarh. Freshen up and relax. In the afternoon, enjoy exciting wildlife safari (jeep safari) to explore the jungle and its attractions. The park abounds in Sloth Bear, Wild Boar, Leopard and Tiger. On time return to hotel for rest, dinner and overnight stay. Take breakfast at the hotel. 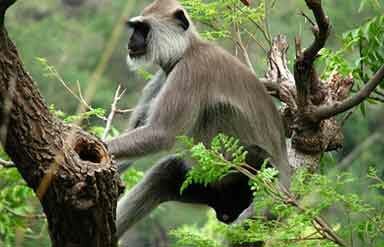 Enjoy morning and afternoon excursion in the jungle of Bandhavgarh National Park. Dinner and overnight stay will be at the hotel. Enjoy morning game viewing. After breakfast at the hotel drive to Kanha Tiger Reserve or National Park and check in at the hotel there. Freshen up and relax. Later explore the tiger reserve and on time return to the hotel for rest, dinner and overnight stay. Have a relaxed breakfast at the hotel. In the afternoon drive to Nagpur and check-in at the hotel there. Spend rest of the day at leisure. Dinner and overnight stay will be at the hotel. Have a very hearty breakfast at the hotel. On time you will be transferred to Nagpur airport to Delhi. On arrival in Delhi, our representative will transfer you to New Delhi International Airport to catch flight for your home/onward destination.